The Police, one of the most popular British bands between 1977 and 1984, featured Andy Summers as their guitar player. Since then not much about the two members Andy Summers and Stewart Copeland - Sting seems to have dominated the headlines. 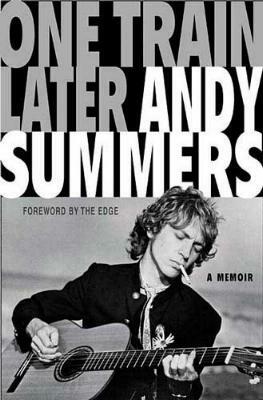 However, guitarist Andy Summers has not been idle - he's pursued a career of his own and has had much success. Not only has he put out more than a dozen albums, he's also an accomplished photographer. Andy Summers grew up in rural England and eloquently relates his boyhood in and around Bournemouth and how he and a few school friends started playing the guitar. Enamoured with the American music of the time (Elvis, Eddie Cochran, and Buddy Holly among others), they tried their best to imitate what they heard. Summers recalls his passion (it's palpable) for the guitar from an early age and his intense interest in learning to master (and expand) his abilities. We're taken on an amazing journey from his first guitar at age 13 to the present with much happening in between. I enjoyed his recollection of the early days in the West End playing with the likes of Eric Clapton. He also relates much about the rampant drug scene at the time (this never ceases to amaze me how so many actually survived), and of course, his hooking up with Sting and Stewart Copeland (who he fortuitously met when getting off a train, hence the book title) to form the Police. Summers has won numerous Grammys, published books on his photography, and been inducted into both the Rock and Roll Hall of Fame and the Guitar Player Hall of Fame. Visit Andy Summers at his website. Conclusion - Poignant and interesting to see how a life pans out and how many twists and turns it can take.